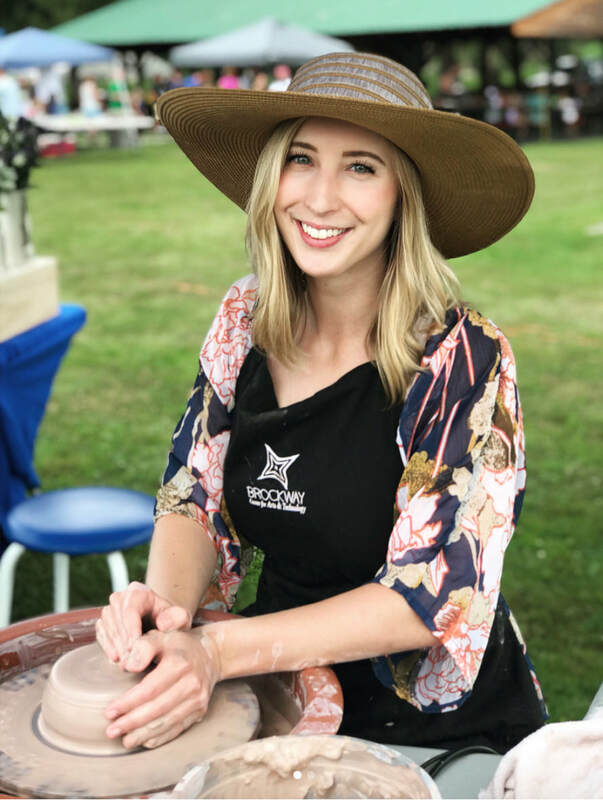 Liana Agnew was born and raised in Pittsburgh, PA. She received her BFA in Ceramics and a BS in Art Education from Edinboro University of Pennsylvania in 2015. She has exhibited nationally in galleries such as the Morean Art Center, Goggleworks Center for the Arts, Red Star Studios, The Clay Studio of Philadelphia, Charlie Cummings Gallery, Pocosin Arts School of Fine Craft, the Erie Art Museum, the Milwaukee Institute of Art, Lux Center for the Arts, and more. ​Currently, Liana lives in the small, rural town of Brockway, PA surrounded by vast farm lands and natural features. She works full time as the Teaching Artist and Studio Coordinator in the ceramics department at the non-profit organization Brockway Center for Arts and Technology where she teaches and mentors high school youths in the after-school art program, and manages the ceramics artist-in-residence program. As a potter, functional wares provide me with a sense of human connection between what I make and the people that use them. Playful textures, or images lay across the surface referencing the serenity found in nature, and my feelings of home in the Pennsylvania woods. The species of trees are carefully considered for each piece, focusing on the structure and shape of the leaf. Trees often have symbiotic relationships with other living organisms in close physical association. I feel that people and pottery as well experience this relationship, mutually benefitting off of one another.